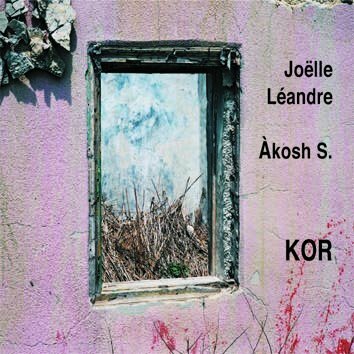 Joelle Leandre / Akosh S.
Every new CD by Joelle Leandre on Leo Records becomes a special event. On this dazzling duet recording with multi-woodwind ace Akosh S. (Szelevenyi Akos) at the Olympic Cafe in Paris the musicinas present seven works with a gait that intimates poetry in motion. Glenn Astarita writes in his liner notes that one might call this recoding magic, for the music in whatever form or stylization is rarely as deep, moving and potent.